On Saturday, 29 September, the members of Hospitality Europe, appointed to accompany the work of the Office which liaise with the European Union institutions in Brussels, representing the Order and the Congregation of Sisters Hospitallers, held their second general meeting in 2018. The meeting was attended for the first time by the new members chosen in the spring by the Order’s European Commission (Brother Massimo Villa, Brother Saji Mullankuzhy and Brother Juan José Ávila), except for Brother Donatus Forkan, who had had to leave Rome at the end of the Assembly of Major Superiors to fly to South Korea. All the new members – which included, for the first time, a non-European Brother (Brother Saji Mullankuzhy), were warmly welcomed by the President of Hospitality Europe, Brother Rudolf Knopp, and the office director, Dr Carlo Galasso. The meeting dealt with various matters connected with the work of representing the Order in deals with with the European institutions and the participation of the centres of the Order and the Sisters Hospitallers projects co-financed by the European Commission (most recently the LET IT BE strategic project to promote training and educational activities for people with disabilities using the new technologies). 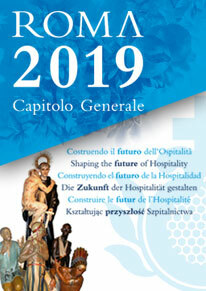 The meeting also decided to extend the term of the Executive Committee of the Hospitality Europe Association (Brother Rudolf Knopp, Brother Giampietro Luzzato and Dr Galasso), which oversees the implementation of the decisions adopted by the general meeting of the members. The work of the Provincial Reference Persons over the year was also examined at the meeting, particularly in view of their next meeting on 5 December. After the meeting, the members enjoyed a cordial supper with them La Nocetta community and agreed to convene the next time on 10 April 2019.